Today, most people dream of living in megacities, but living in a small city has many advantages. Yes, small towns are not as entertaining as large ones, but something unique and attractive still remains in them. Every time, thinking about moving to the metropolis, remember the catchphrase: “The grass is always greener on the other side.” Living in a small town, especially if you were born there, and where you have family, friends, home, pets and favorite places, often helps to survive difficult times. Probably the most obvious reason for living in a small city is the lower cost of living than in a large city. Housing, food, clothing and many other things cost less in small cities. It is cheaper and simpler to buy or build your own house here, you can buy a car without a long period of savings, and you can buy food without spending your entire salary. In a small town, it is much easier to save. Since the cost of living in small towns is cheaper, raising a family accordingly is much easier here. Of course, children can be raised everywhere and the big city opens up more opportunities for our children and offers a more comfortable lifestyle, but to be honest, most urban children are spoiled and selfish due to a wide range of temptations. Most of them do not want to work or study. Often, the purpose of their life is fun and pleasure. Of course, nature in a small town is better. The air is clean and fresh, especially in the early morning and late evening. There are a lot of greenery, parks, ponds and rivers, amazing landscapes and living creatures, fewer factories and plants. It is not surprising that people living in small towns live healthier and longer. Of course, it all depends on the place of residence. In some countries, factories and plants are built in small towns. Communication in a big city requires either a private car or a considerable budget for public transport, while in a small town one can get to work on foot or by bike. Moreover, you can save not only time and money but also enhance your immunity and remain slim. Hiking and cycling are ways to turn a routine process into a daily workout. In addition, you can forget about tedious traffic jams. Often the people of the province are much more friendly and sociable than the ever-busy residents of cities, who do not have a minute to spend their free time talking to their neighbors. The problem with most people living in big cities is that they do not know either their neighbors or the city itself. In small towns, neighbors know each other well and are very helpful when needed. In large cities, there are shopping centers, museums, cinemas, theaters, spas, cafes and restaurants for every taste and budget. It seems that you cannot get bored in a big city. But small towns can offer more than many people think. There are the same places in small towns. Yes, they are not as big and luxurious as in large cities, but you will not get bored there as well. Life in a small town has its advantages. The only drawback is limited employment opportunities. In a small town, it can be difficult to find a job and build a full-blown career. But it all depends on you. If you strive to work, you will get a job. If your goal is to have good health, you will have it. Finally, if you want to be happy, you will be happy regardless of where you live. 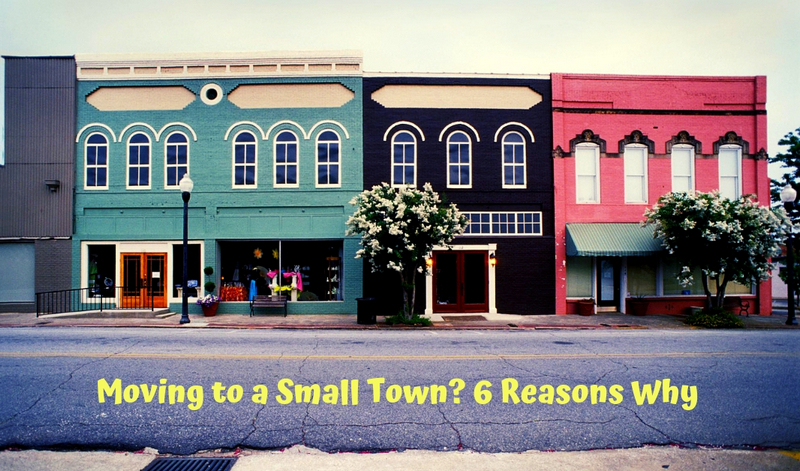 Do you agree with the benefits of living in a small town?